A 2017 review in the Lonely Planet Canada guide pegged Edmonton as a modern, albeit "frigidly cold," stopover city with a downtown overrun by "the moneyed and the down-and-out." By contrast, Calgary is painted as surprisingly beautiful, overrun by modest yet self-loving citizens who boast a "can-do attitude." Mayor Don Iveson has extended an invitation for a personal tour of Edmonton to "whoever wrote the Lonely Planet thing." The international travel guide publisher Lonely Planet waded into the battle of Alberta with its 2017 review of Canadian cities. "I get it, whoever wrote the Lonely Planet thing hasn't actually been here for a few years," Iveson told reporters Tuesday. "I'd be happy, if we ever figured out who it is, to invite them here and show them around myself because they clearly got it wrong." 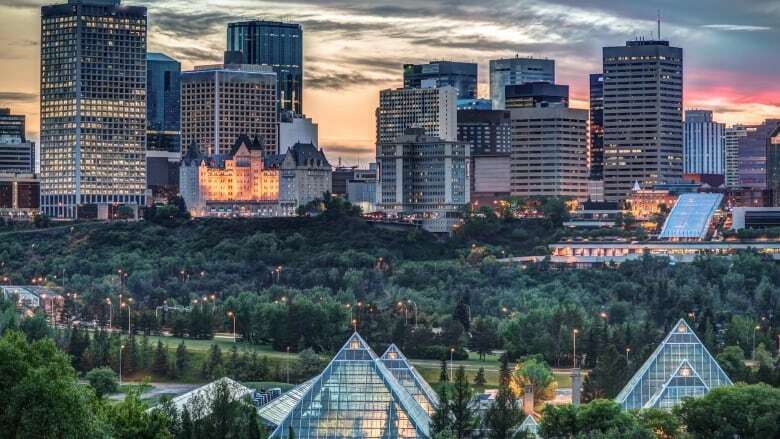 According to the 2017 guide, Edmonton is a modern albeit "frigidly cold" stopover city that "you're more likely to read about in the business pages than the travel supplements." The top sites are outside the city, the guide notes — the Ukrainian Cultural Village and Elk Island National Park. "Downtown is for the moneyed and the down-and-out." By contrast, Calgary is painted as surprisingly beautiful, overrun by modest yet self-loving citizens who boast a "can-do attitude." "Calgary will surprise you with its beauty, cool eateries, nightlife beyond honky-tonk and long, worthwhile to-do list," the guide raves. "Calgarians aren't known for their modesty; it's their self-love and can-do attitude that got them through disastrous flooding in 2013 and, in 2016, saw them helping residents of wildfire-stricken Fort McMurray with unquestioning generosity. We mustn't forget — Calgary also hosted the highlight successful 1988 Winter Olympics, elected North America's first Muslim mayor, and throws one of Canada's biggest parties, the Calgary Stampede." That line about helping Fort McMurray really rubs Iveson the wrong way, he says. "I can abide all of the other mistakes, but that one is a bit of an insult to the generosity of Edmontonians and northern Albertans," Iveson said. "Calgary and all of the province stood up in a big way during the Fort Mac fires. "But somebody should ask (Regional Municipality of Wood Buffalo Mayor) Melissa Blake who really stood up. Because it was northern Alberta communities from Boyle to Lac La Biche and, yes, Edmonton that took the largest numbers of people." Calgary Mayor Naheed Nenshi declined to comment. In an email, Lonely Planet spokesperson Natalie Nicolson wrote the company has "no intention of causing competition between destinations." "We genuinely want to highlight the best of each city, and while Edmonton indeed assisted tens of thousands of Fort McMurray fire evacuees, we chose to illustrate Edmontonians' commitment to hospitality, diversity and inclusion in other ways," she wrote. She pointed to a column about Edmonton's Ukrainian communities, as well as 13 pages dedicated to various city attractions. The 894-page travel guide devotes similar page space to other major Canadian cities. "Here at Lonely Planet, we ask our writers to 'tell it like it is' in order to be as honest and balanced as we can," Nicolson wrote. "The guides are intended to recommend the highlights in any given destination, for visitors with a limited time to experience them, and therefore may not include nuance and detail that locals are familiar with." A disclaimer in the final pages of the 2017 Lonely Planet Canada states there is "no warranty about the accuracy or completeness of its content." North America's most breathtaking places: Havana, Mexico City ... Red Deer?